by Mike Pall, published with permission. I’ve only published AFLG (auto-fast-loader-generator) under my real name in the German “RUN” magazine. It owes quite a bit to TT’s original ideas. I guess I have to apologize to Thomas for not giving proper credit. But back then in the 80’s, intellectual property matters wasn’t exactly something a kid like me was overly concerned with. Later on, everyone was soldering parallel-transfer cables to the VIA #1 of the 1541 and plugging them into the C64 userport. This provided extra bandwidth compared to the standard serial cable. It allowed much faster loading of programs with a tiny parallel loader (a file named “!”, that was prepended on all disks). Note that the commercial kits with cables, custom EPROMs and silly dongles followed only much later. 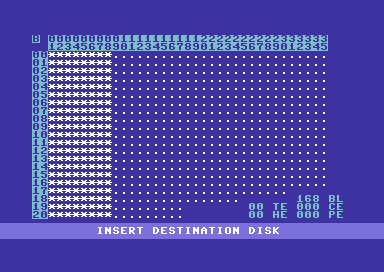 It worked by transferring the “live” GCR-encoded data from the 1541’s disk head to the C64 and simultaneously doing a fast checksum. Part of the checksumming was done on the 1541, part was done on the C64. There simply weren’t enough cycles left on either side! Most of the transfer happened asynchronously by adjusting for the slightly different CPU frequencies and with only a minimum number of handshakes. This meant meticulous cycle counting and use of some odd tricks. Ok, so I spread the program. For free. I even made a 40 track version, which took 17 seconds. Only to see these coming back in various mutations, with the original credits ripped out, decorated with multiple intros, different groups pretending they wrote it or cracked it (it was free, there was nothing to crack!). The only thing they left alone were the copy routines, probably because they were extremely fragile and hard to understand. So it was really easy to recognize my own code. Some of the commercial parallel-cable + ROM kits even bragged with “Backups in 15 seconds!”. These were blatant rip-offs: they basically changed the screen colors and added a check for their dongles. Duh. Let’s just say this rather frustrating experience taught me a lot and that’s why I’m doing open source today. So I shelved my plans to write an enhanced version which would try to compress the memory to reduce the number of passes. Ah, yes … I wrote quite a few packers, too … but I’ll save that story for another time. But I took the time to reverse-engineer my own code from one of the copies that are floating around on the net. For better understanding on the C64/1541 handshake issues, refer to this article. If you’re wondering about the weird bvc * loops: the 6502 CPU of the 1541 has an SO pin, which is triggered by a full shift register for the data from the disk head. This directly sets the overflow flag in the CPU and allows reading the contents from the shift register with very low latency. Yes, there’s a lot more weird code in there. For the sake of brevity, here are only the inner loops of the I/O routines for the read, write and verify pass for the C64 and the 1541 side. Enjoy! 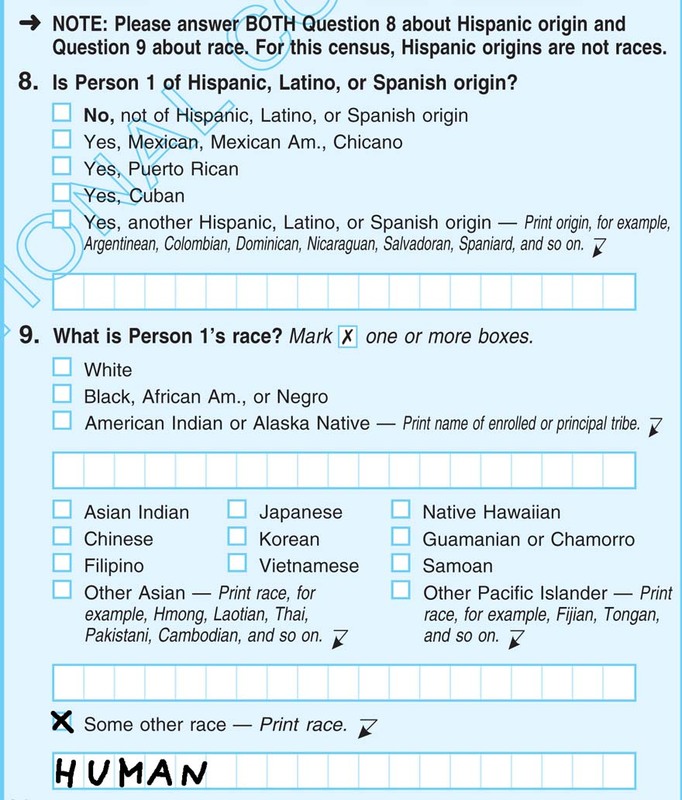 This entry was posted in 6502, archeology, trivia on July 18, 2011 by Michael Steil. by Thomas Tempelmann, reprinted with permission. Back in the 80s, the Commodore C-64 had an intelligent floppy drive, the 1541, i.e. an external unit that had its own CPU and everything. The C-64 would send commands to the drive which in turn would then execute them on its own, reading files, and such, then send the data to the C-64, all over a propriatory serial cable. The manual for the 1541 mentioned, besides the commands for reading and writing files, that one would read and write to its internal memory space. Even more exciting was that one could download 6502 code into the drive’s memory and have it executed there. This got me hooked and I wanted to play with that – execute code on the drive. Of course, there was no documention on what code could be executed there, and which functions it could use. A friend of mine had written a disassembler in BASIC, and so I read out all its ROM contents, which was 16KB of 6502 CPU code, and tried to understand what it does. The OS on the drive was quite amazing and advanced IMO – it had a kind of task management, with commands being sent from the communication unit to the disk I/O task handler. I learned enough to understand how to use the disk I/O commands to read/write sectors of the disk. Actually, having read the Apple ][‘s DOS 3.3 book which explained all of the workings of its disk format and algos in much detail, was a big help in understanding it all. Most importantly, I also learnt how the serial comms worked. I realized that the serial comms, using 4 lines, two for data, two for handshake, was programmed very inefficiently, all in software (though done properly, using classic serial handshaking). Thus I managed to write a much faster comms routine, where I made fixed timing assumptions, using both the data and the handshake line for data transmission. Now I was able to read and write sectors, and also transmit data faster than ever before. Of course, it would have been great if one could simply load some code into the drive which speeds up the comms, and then use the normal commands to read a file, which in turn would use the faster comms. This was not possible, though, as the OS on the drive did not provide any hooks for that (mind that all of the OS was in ROM, unmodifiable). Hence I was wondering how I could turn my exciting findings into a useful application. Having been a programmer for a while already, dealing with data loss all the time (music tapes and floppy disks were not very realiable back then), I thought: Backup! So I wrote a backup program which could duplicate a floppy disk in never-before seen speed: The first version did copy an entire 170 KB disk in only 8 minutes (yes, minutes), the second version did it even in about 4.5 minutes. Whereas the apps before mine took over 25 minutes. 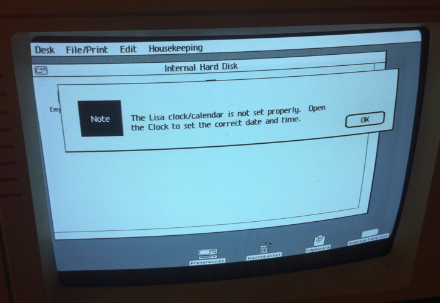 (Mind you, the Apple ][, which had its disk OS running on the Apple directly, with fast parallel data access, did this all in a minute or so). And so FCopy for the C-64 was born. It became soon extremely popular. Not as a backup program as I had intended it, but as the primary choice for anyone wanting to copy games and other software for their friends. Turned out that a simplification in my code, which would simply skip unreadable sectors, writing a sector with a bad CRC to the copy, did circumvent most of the then-used copy protection schemes, making it possible to copy most formerly uncopyable disks. I had tried to sell my app and sold it actually 70 times. When it got advertised in the magazines, claiming it would copy a disk in less than 5 minutes, customers would call and not believe it, “knowing better” that it can’t be done, yet giving it a try. Not much later, others started to reverse engineer my app, and optimize it, making the comms even faster, leading to copy apps that did it even in 1.5 minutes. Faster was hardly possible, because, due to the limited amount of memory available on the 1541 and the C-64, you had to swap disks several times in the single disk drive to copy all 170 KB of its contents. This entry was posted in 6502, archeology, trivia on July 15, 2011 by Michael Steil. Im Februar hat mich Tim Pritlove auf der Durchreise in Frankfurt abgefangen, wo ich mit einem Koffer voll mit zwölf Commodore 64 Motherboards in einem Hotelzimmer saß, und mit mir eine 2 Stunden und 42 Minuten lange Episode für Chaosradio Express aufgenommen. This entry was posted in 6502, archeology, hacks, tricks, trivia on July 5, 2011 by Michael Steil. Ron Gilbert posted this as a comment on The Mansion – Technical Aspects, I am re-posting it here as an article. SCUMM script was a little odd. When I first started designing the language, I was going to base it on Lisp. I was use to using it to customize emacs that we used to do all our coding. This was not on PCs, but on large multiuser UNIX machines. The Lucasfilm games group was part of the Lucasfilm computer division (which later became Pixar) and we had some very smart people that connected the C64 to the UNIX machine. From my UNIX terminal, I had complete control over the C64 and wrote a source level debugger for SCUMM. The 6502 assembler was custom written by Chip Morningstar and ran on the UNIX machine. But I digress. So, SCUMM started out as Lisp based, but I quickly abandon that approach in favor of something that looked a little more C-like, but some aspects of Lisp remained, mostly in the naming conventions. Commands and variables used – (dashes) as separators. If you had a complex expression, you had to chain them using +=, -=, /= and *= using temp variables. Ugly, but it made the interpreter much simpler. (Side note, the C64 interpreter was not named SPUTM, that name didn’t come about until the PC version). This is the command that walked an actor to a spot. say-line dave "Don't be a tuna head." say-line selected-kid "I don't want to use that right now." say-line selected-kid "I don't think this game is very fun." There were no functions, everything was a ‘script’, a small piece of code that looked a lot like a function, but it ran in it’s own virtual process. Note the lack of a until/while on the do loop. The script would just continue until someone killed it. Time was always measured in jiffies (1/60 second). Later on I added the ability to say ‘break-time 1 minute’ and the compiler just multiplied by 60 before emitting the opcode. …and then forget about it. That one script could do whatever it needed and start a cut-scene if the need arose. This may seem pretty tame today, but back then, it was like magic. Bonus information: The SCUMM compiler was written in Yacc and Lex. This entry was posted in 6502, archeology, SCUMM, trivia on May 30, 2011 by Michael Steil. 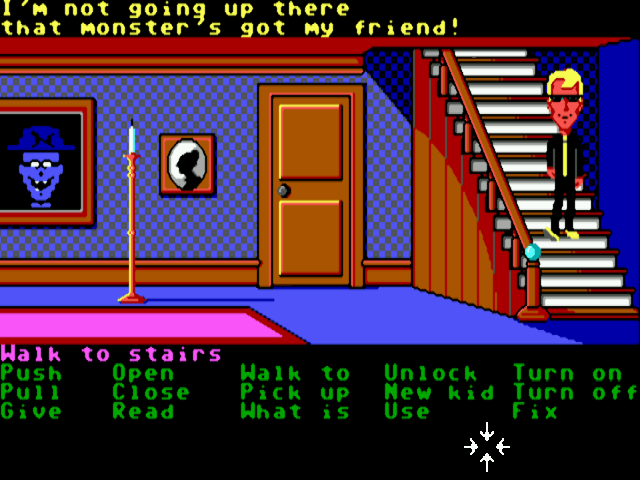 Maniac Mansion is a true classic – in many ways. The original Scumm (version 0) was designed for C64 in ’87 and its idea was to be able to develop a game independently of the target machine and only port the SPUTM (script presentation utility TM (seriously)) to several architectures. However it started with C64 and for several reasons the C64 version was kind of special in comparison to all later ports. Hence Scumm version 0 is only used here. Even Zak McKracken already had important changes and fixes. The original version came on disk with some copy protection (not too bad, not many cracks are around) and hence there is no in-game copy protection unlike all other versions (except for the Apple). You may have seen that code door at 2nd floor on other computers and guess what: the door code is made of PETSCII graphics chars! Officially the protection was left out due to disk space. In fact the 2 disk sides are pretty crammed in the original. So the game design was done on PC (UNIX system) and assembled there. This explains the spaghetti like distribution of the data and some of the code. In general the data is split into rooms. A room contains all the data for a specific area in the game. I.e. the beginning with the beautiful moon in the background or the kitchen is one ‘room’ each. The data consists of one graphics charset in multicolour mode and its screen map (from 40×17 up to 160×17 chars big), one full charset for the clipping mask with its map (same size as screen map of course), a colourmap for the fourth colour per char (ranging only from 0-7) and then the scripts themselves. There is one room data set for each location and numerous scripts, one for each room and several additional ones. The graphics are stored in sprite like format (3 bytes per line) but with a successive height of 16 pixels normally. To save space each person is only stored from front, back and its right side. Whenever someone is facing left, the graphics data is mirrored via table and then plotted. Oh, and all the facial expressions, well the mouth and the chin (being one pixel) are not part of the data but added during plotting. Btw, the explosion in the intro, chucky the plant and the mummy are stored and handled as actors as well. You can see that when you leave the bathroom: the mummy disappears just before the rest does. To prevent the secret phone number from being revealed the background graphics is distorted of course. 🙂 The graphics replacements are stored among the objects. So an open radio is a replacement of the object graphics radio. Stored as x, y position in char steps inside the room area and its width. Each object has an owner attribute and a position x, y in chars where to walk to (which is not necessarily identical to its position). Also there is a byte containing the height of the object in pixels (using 6 bits) while the upper 2 bits give the direction the actor is facing when reaching the object. So when Dave opens the fridge we see his back but when reaching a door, he’s facing right for example. The object’s name is also given along with a pointer to the script dealing with it. Those pointers are 24bit wide. 1 byte for the room it is attached to (again, these data change between different language versions) and another 16bit offset inside that data chunk. The scripting for MM is rather complex. The memory resident interpreter understands 82 opcodes and handles 256 global variables! There is lots of things are stored and swapped around. Like whose friend with Ed or the Tentacle or whether the highscore at the arcade is already set… It even has fancy stuff like a random number generator (yes, the numbers in the game like phone numbers, codes) are not always the same! 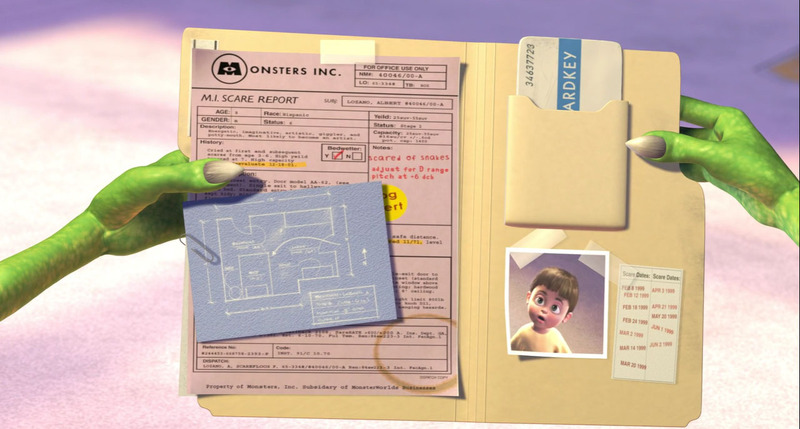 (Look for the cheat in the NEOram version that displays Edna’s phone number, the safe combination, the radio frequency and the highscore once it’s played). A data byte of < $40 gives the number of different single unpacked bytes to follow. $3f to < $80 represents the length of the run of the byte to follow (+$3f of course). $9f to < $c0 and $bf to <$e0 and $df-$ff for common byte 2, 3 and 4 respectively. This encoding is rather effective for the MM graphics. Walkable areas for a room are composed of a list of multiple boxes with varying size and positions and stored after the graphics data. You probably noticed the slowdown during scroll in the game. This is due to the double buffered scroll which waits for all the clipping and room data to be moved into the correct RAM areas. The colour scroll of $d800 is done with some sort of line based speed code. Rastertime and memory are both used almost to the max. At start-up some own drive code is loaded into the floppy (not in my NEOram version of course). Later on a room is loaded by checking which room we want to see next, then getting its corresponding disk side from a table, checking for correct disk, getting the track and sector at which the room data starts from another table, calling a function to set this t/s offset, then calling another function with the target address in memory and another one with the length to be transferred. Only then will the room data be actually loaded. Even worse, usually only the first few bytes are read since they contain the offset to the table of other offsets (actors, objects, and scripts) which are then loaded to the corresponding memory areas. As soon as the drive code is initialised that RAM area on C64 side is overwritten by data AND code again. So the only memory available for extra code in this version was the drive interface and some other routines handling disk sides etc. 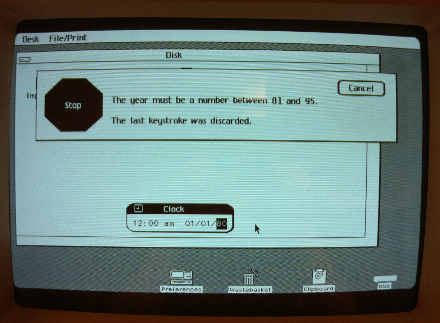 A major gain was for example the now obsolete "wrong disk" message. This game really uses all the RAM there is. Most of the stack is occupied by code as well. Some of the JMPs instead of JSRs in the interpreter I didn't get at first were due to that fact - to keep the stack pointer high (that was kind of sucky to debug). I was able to rewrite some interpreter routines as well to gain more space for the mouse driver and save game selection. And, err... I removed the checksum check for each room data. That was also quite some speedup btw and it probably prevented lots of people from making trivial changes to the game. Yet it is hardly possible to apply big changes in the game logic. All offsets are hard-coded to the data. Even changing the length of the name for i.e. the 'fridge' by 1 char, causes dozens of offsets to change (for costumes, scripts, sounds, other rooms and so on). Even the interpreter looks rather different from language to language. And the RLE nature of the data, makes it pretty hard to change graphics as well since they have to keep the same size. For the NEOram version I only redistributed the room data and completely replaced its track/sector/disk side structure. So unlike all other patches before this one no longer 'emulates' disk access anymore. MM handles the pointer on screen very arborescent and there is no such thing like an "open" function call. Instead pointer positions are stored as x, y chars on screen, x, y relative to room origin in chars, x, y as pixels on screen, x, y as pixel coordinates (half the x resolution 0-159) and as a delta to last frame. All of these are set by different functions. So when a verb is highlighted and you press fire, multiple addresses are set already in the background. The call itself is a self modified JMP in the end. To allow the OPEN and PICKUP command on the right mouse button I rewrote the button routine instead. The input from the mouse is faked as if it would point to the OPEN verb, the pointer is hidden (more or less), the old position stored and the mouse driver is skipped for the next 3 frames while the joystick readout is rerouted to an own routine that returns button pressed for the next frame, then 1 frame of button release and still no mouse action, one frame to return old pointer coordinates and run the routine to convert the mouse coordinates to all those mentioned before and finally enable pointer sprite and toggle mouse control back in. Sounds a bit weird but otherwise there isnt enough rastertime left. This is also why you shouldn't use the mouse on an NTSC system. The mouse is read every 2nd frame only for the very same reason. The evaluation of the new coordinates for the game engine (x, y in absolute and relative chars and check for verb activation) are only carried out when the mouse driver itself is skipped. This was the only way to get things done before the next rastersplit is due. Also the mouse is disabled as long as a button is pressed or actions with objects or scrolling the inventory would take too much rastertime. And sometimes you see a little jerky screen during loading when the I/O area has to be switched in to set NEOram registers and the rasterline hits the IRQ to switch back to text mode. I chose this part of the screen since its the least disturbing and usually works quite ok. MM is and was great fun - as soon as I've had some rest I will look into Zak McKracken deeper. Almost can't wait to do so (imagine both games on one cart). Have a lot of fun and try all the different solutions to the game. Did you every finish the game without shooting that poor meteor (why is no one calling it accurately 'meteorite'?) into space? 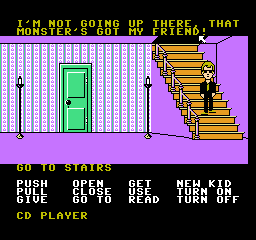 Go ahead and enjoy another game of Maniac Mansion. The NEOram image will work well under vice by the way but if you consider assembling your own NEOram card just look for schematics and part-lists on the web or contact maniac`enthusi.de - Quite likely there are some PCB boards still around. Ok, let's go rescue Sandy! This entry was posted in 6502, archeology, SCUMM, trivia on May 23, 2011 by Michael Steil. After 35 years of measuring the behaviour of the MOS 6502 CPU to better understand what is going on, the Visual6502 simulator finally allows us insight into the chip, so we can understand what the CPU does internally. One interesting thing here is the question how the 6502 handles BRK, IRQ, NMI and RESET. On a RESET, the CPU loads the vector from $FFFC/$FFFD into the program counter and continues fetching instructions from there. On an NMI, the CPU pushes the low byte and the high byte of the program counter as well as the processor status onto the stack, disables interrupts and loads the vector from $FFFA/$FFFB into the program counter and continues fetching instructions from there. On an IRQ, the CPU does the same as in the NMI case, but uses the vector at $FFFE/$FFFF. On a BRK instruction, the CPU does the same as in the IRQ case, but sets bit #4 (B flag) in the copy of the status register that is saved on the stack. The four operations are very similar, they only differ in the location of the vector, whether they actually push data onto the stack, and whether they set the B flag. If there is an IRQ pending and the current instruction has just finished, the interrupt logic in the 6502 forces the instruction register (“IR”) to “0”, so instead of executing the next instruction, the PLA will decode the instruction with the opcode 0x00 – which is BRK! Of course it has to kick in a few cycles later again to make sure a B value of 0 is pushed, but otherwise, it’s just the BRK instruction executing. Not surprisingly, NMI is done the same way: “0” is injected into the instruction stream, but this time, some extra logic makes sure that the addresses $FFFA/$FFFB are put onto the address bus when fetching the vector. Cycle 0: When a 6502 is turned on, the stack pointer is initialized with zero. The BRK/IRQ/NMI/RESET sequence pulls the instruction register (IR) to 0. Cycle 3: The first stack access happens at address $0100 – a push first stores the value at $0100 + SP, then decrements SP. In the BRK/IRQ/NMI case, this would have stored the high-byte of the PC. But for RESET, it is a read cycle, not a write cycle, and the result is discarded. Cycle 4: SP is now 0xFF (even if the internal state does not reflect that), so the second stack access (which would have been the low-byte of PC) targets 0x01FF. Again, the result is discarded, and SP decremented. Cycle 5: SP is now 0xFE, and the third stack access, (the status register) happens at 0x01FE. SP is decremented again. Cycle 6: The internal state of the CPU now shows that SP is 0xFD, because it got decremented 3 times for the three fake push operations. The low-byte of the vector is read. Cycle 7: The high-byte of the vector is read. Cycle 8: The first actual instruction is fetched. Since RESET is not timing critical, it doesn’t matter whether a few cycles are wasted by doing the fake stack cycles. This entry was posted in 6502, archeology, hacks, trivia on September 29, 2010 by Michael Steil.